DebConf15 will be held in Heidelberg, Germany from the 15th to the 22nd of August, 2015. The clock is ticking and our annual conference is approaching. There are less than three months to go, and the Call for Proposals period closes in only a few weeks. This year, we are encouraging people to submit “half-length” 20-minute events, to allow attendees to have a broader view of the many things that go on in the project in the limited amount of time that we have. To make sure that your proposal is part of the official DebConf schedule you should submit it before June 15th. If you have already sent your proposal, please log in to summit and make sure to improve your description and title. This will help us fit the talks into tracks, and devise a cohesive schedule. For more details on how to submit a proposal see: http://debconf15.debconf.org/proposals.xhtml. If you have already submitted your event and haven’t heard from us yet, don’t panic! We will contact you shortly. We would really like to hear about new ideas, teams and projects related to Debian, so do not hesitate to submit yours. Happy New Year! 2015 is the year of DebConf15 in Heidelberg. 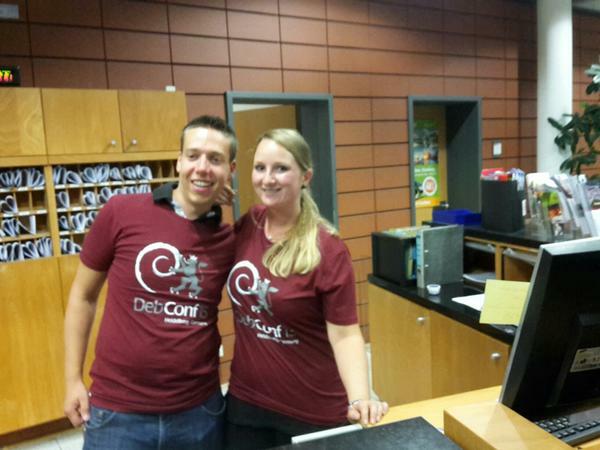 We are working hard on another awesome Debian Conference. How about making a new year’s resolution to join us? We wish that your 2015 is full of good times, and we hope we share some of them together at DebConf15! Happy hacking! The Debian project recently welcomed the first nine sponsors for Debconf15: credativ and sipgate as Gold sponsors, Google, Farsight Security, Inc., Martin Alfke / Buero 2.0 and Ubuntu as silver sponsors, and Logilab, Netways and Hetzner as Bronze-level. But things have kept moving! The Matanel Foundation just committed to support DebConf15 as Gold-level sponsor, and Mirantis as Silver-level. So, at the time of writing this, we have 11 sponsors. We are very thankful for that! 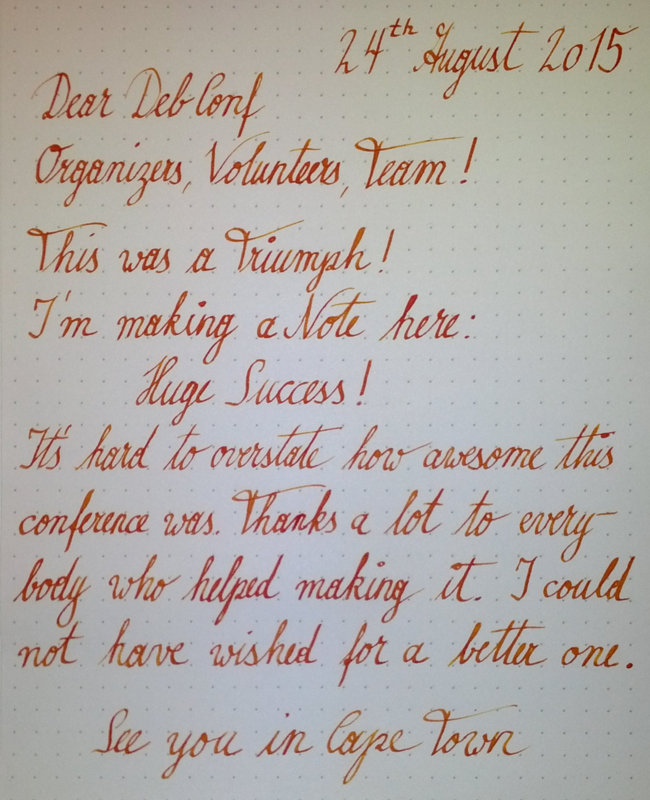 The DebConf team aims to organize the Debian Conference as a self-sustaining event, despite its size and complexity (the Final Report for DebConf14 gives a good indication). The financial contributions by individuals, companies and organizations, as well as the support by our infrastructure sponsors, media partners, and volunteers, are pivotal to our success. There are many different possibilities to support DebConf. If you know any company or organization that could be interested, don’t hesitate to point them at our sponsorship brochure (also available in German) or tell us about any leads.